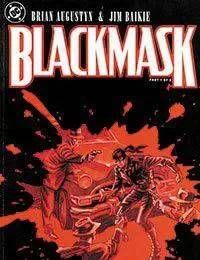 One mans battle to purge his city of the organized crime that is consuming its soul is the story told in BLACKMASK, a compelling psychological crime drama with a super-hero twist. Set in the days after the Korean War, BLACKMASK is the tale of a man who conceals his features in an executioners hood, a mask once worn by his one-time torturer. He starts out doing the right things for the right reasons, but with every successful strike against the mob, something dark and cruel inside him claws its way closer to the surface of his scarred psyche.